This is a sponsored post. I was compensated financially by Egg Farmers of Canada. All opinions about eggs are my own. 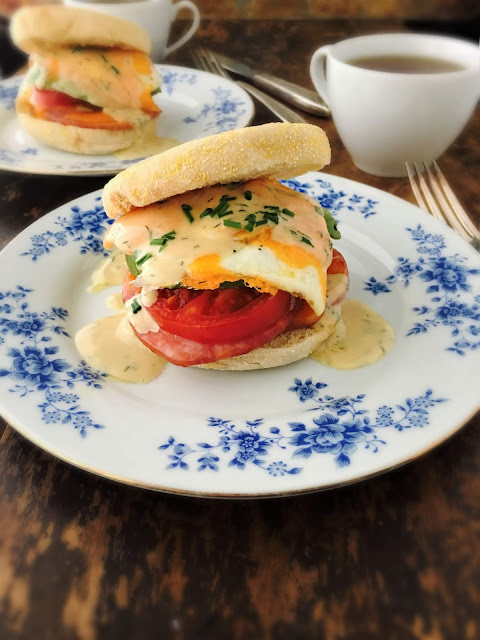 Eggs are my go-to when it comes to breakfast. You can’t go wrong with poached, scrambled, or my personal favourite - gently fried in a little olive oil so we get those glorious crispy edges. Healthy, delicious, versatile, I love waking up to some yellow! 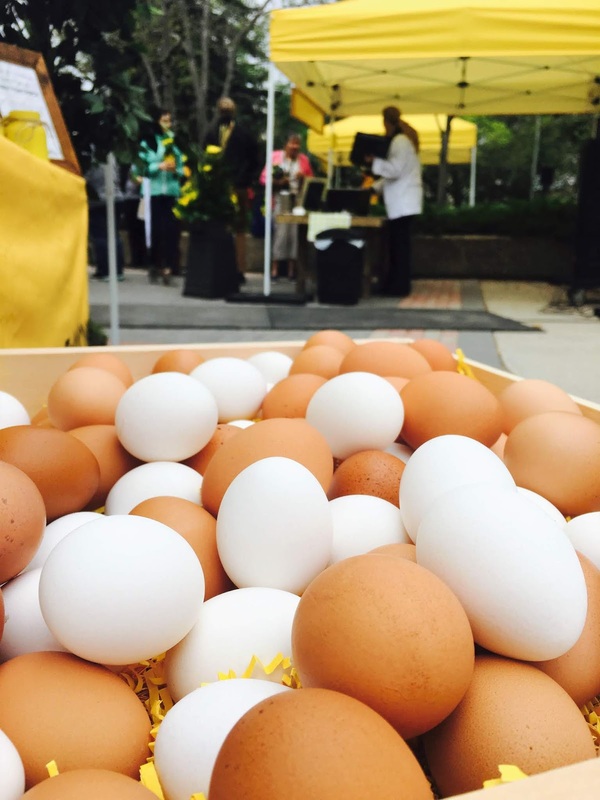 So, when I was asked by Egg Farmers of Canada to attend a unique pop-up egg farmer’s market in downtown Saskatoon on May 31st, I immediately said yes. I think eggs are absolutely glorious. Always free of added steroids and hormones, and with six grams of the highest-quality protein and fourteen important vitamins and nutrients like iron, folate and vitamins A, D, and B12, eggs are a natural, delicious way to start my day. 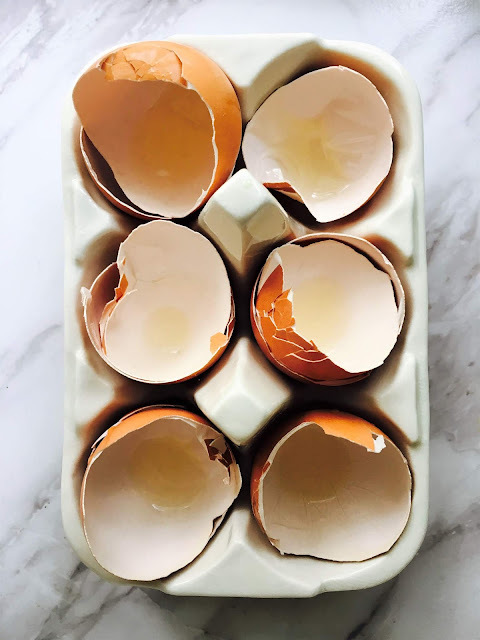 A dozen eggs are always in my shopping cart (I love that you can find them everywhere from big box stores to tiny convenience stores), and I go through them like crazy around here. Blended into Dutch baby or crepe batter, whisked into pancake mix, or cooked sunny side up for a tasty breakfast sandwich, I always know my day is going to be great when it starts off with eggs. 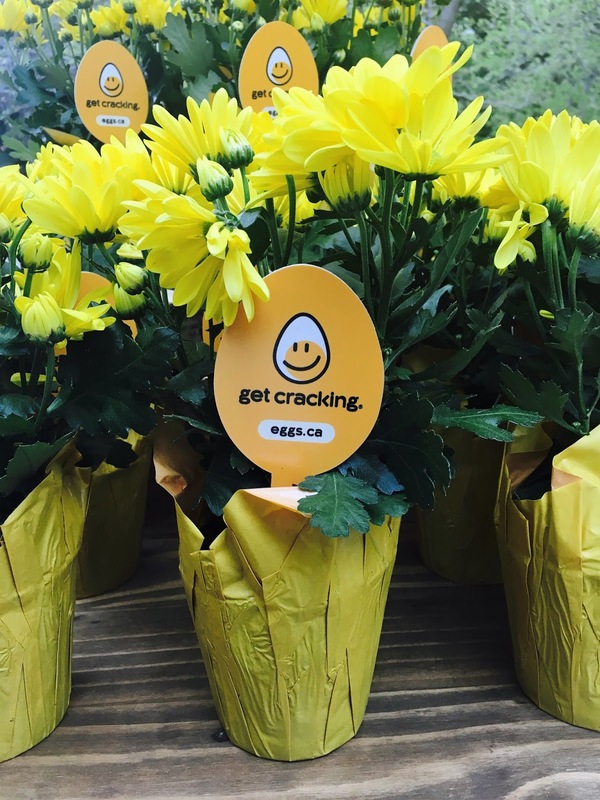 There are over 1,000 egg farmers in Canada, and several were in attendance at the pop-up event. I chatted with a few of them that morning, and just like every other farmer I’ve had the pleasure of chatting with, they are very passionate about what they do and proud of the eggs that are coming from their farm to your table. 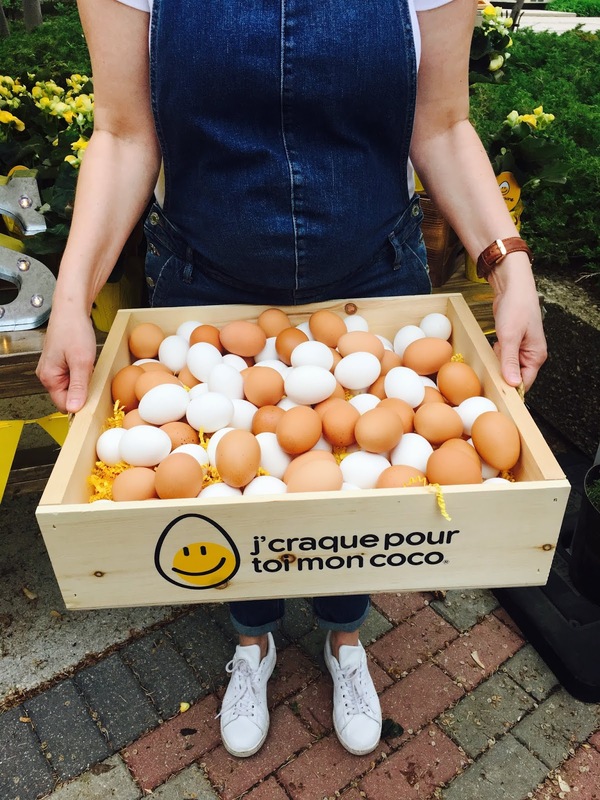 For many of the farmers, egg farming is a family affair, with many of them being the second or even third generation to produce fresh Canadian eggs. When chatting about what the hens eat, I thought it was kinda neat that the omega-3 eggs I like to buy are produced by hens that are fed a diet rich in flaxseed - another ingredient I love to use in my kitchen. Hens are fed a balanced diet consisting of grains, protein, fats, vitamins and minerals. Wheat, corn, barley, rye and oats in the feed provide energy, and are also sources of protein, fibre, vitamins and minerals. Soybeans and peas are more concentrated sources of dietary protein and oilseeds like canola and flaxseed are more concentrated sources of fat. 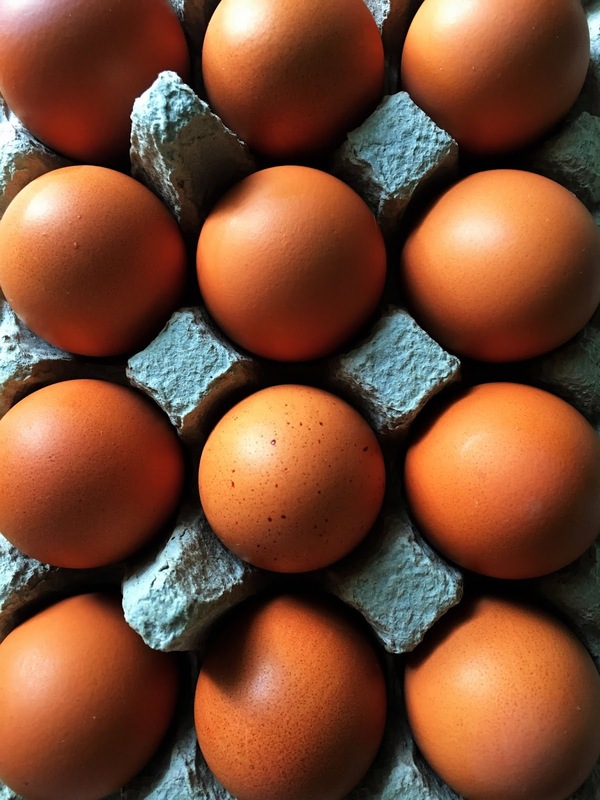 Calcium and phosphorus from various sources help maintain strong bones and support the formation of eggshells. A hen’s diet can change the colour of the egg’s yolk. Wheat-based diets, which are more common out here on the Prairies, make pale yellow yolks, while corn-based diets make for a darker yellow yolk. Regardless of what the hens eat, their feed in Canada is always free of added steroids and hormones. And, antibiotics are not required for egg production. Not only was I excited to chat with the egg farmers, I was also excited to see so many people in attendance! The Civic Square was a lively venue, with line-ups for pretty potted plants and breakfast sandwiches, all of which were gone in a flash. 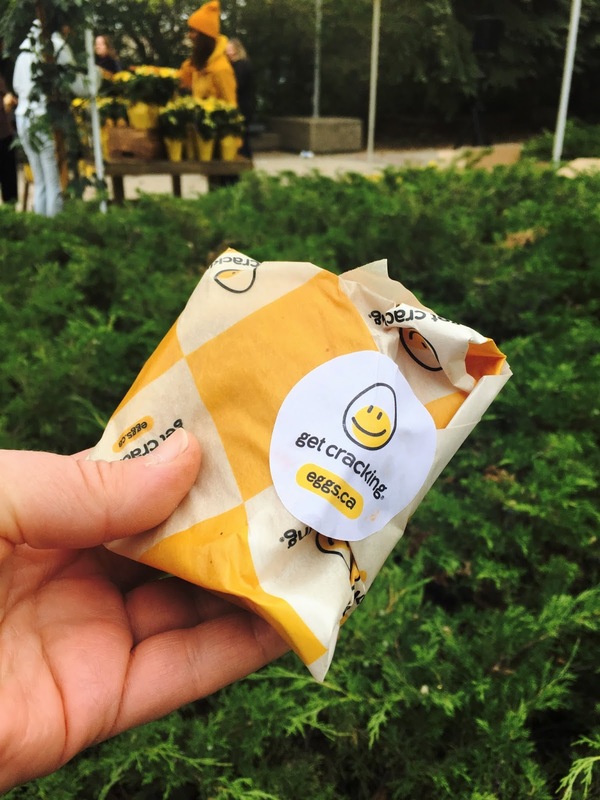 That’s the cool thing about eggs - everybody loves them. 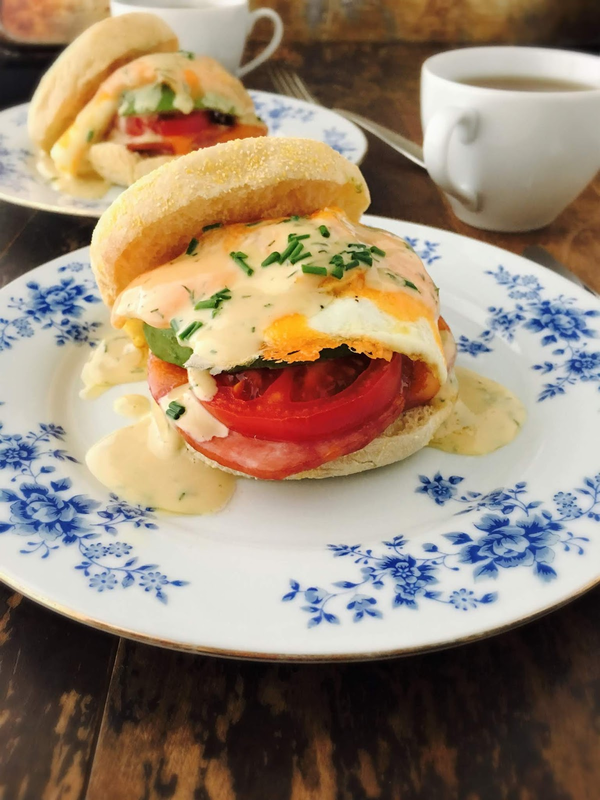 Inspired by the breakfast sandwich at the event, I created one of my own in my little green kitchen. And, I have to say, it’s pretty stellar. There are eggs, of course, gently cooked sunny side up in a little butter, and there’s back bacon, too. Both are topped with shredded cheddar, which gets all nice and melty. You can’t have a breakfast sandwich without some carbs, and I used toasted English muffins, but a good, sturdy biscuit would also work. For extra nutrition, I added slices of tomato and avocado, and then there is the oh-so-tasty maple mustard dill sauce. It really does pull the sandwich together, and while you can eat it with a knife and fork, there is something to be said for eating it out of hand. Just be sure to have plenty of napkins handy! 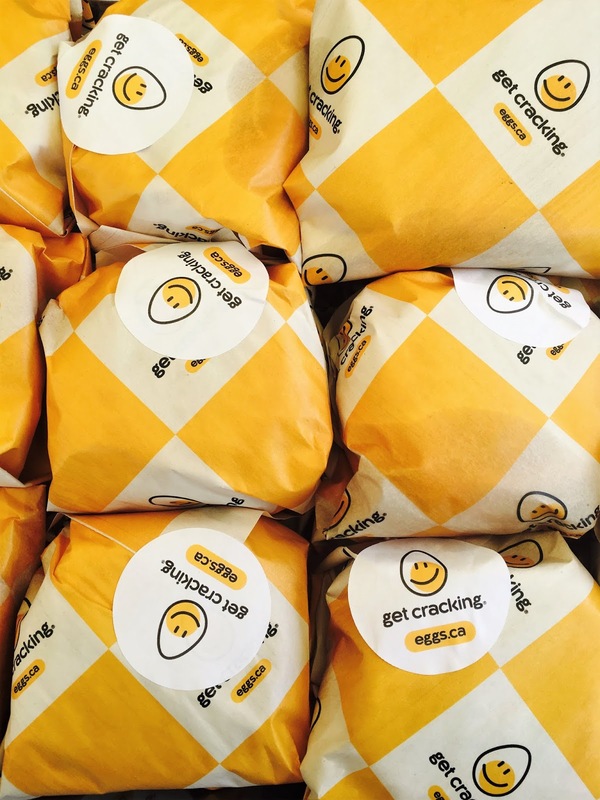 For more delicious recipes featuring eggs, go to eggs.ca. To make the maple mustard sauce: Combine all of the ingredients in a small bowl and stir well until smooth. To make the sandwiches: Melt the butter in a large non-stick skillet over medium heat. Crack the eggs into the skillet. Season with salt and pepper and top each egg with a little cheddar cheese, using up half of the cheese. Cover and cook until the cheese is melted and the whites are set. It’s good to have the yolks still a little runny. Meanwhile, in another large skillet, warm the canola oil over medium-high heat. Add the slices of back bacon or ham and cook until browned and warmed through. Scatter the remaining cheese over each slice of back bacon and cook until the cheese is melted. Remove from the heat. To assemble the sandwiches: place 2 slices of ham on the bottom half of a toasted English muffin. Top with slice or two of tomato and avocado, then add an egg and sprinkle with a little smoked paprika, if you like. 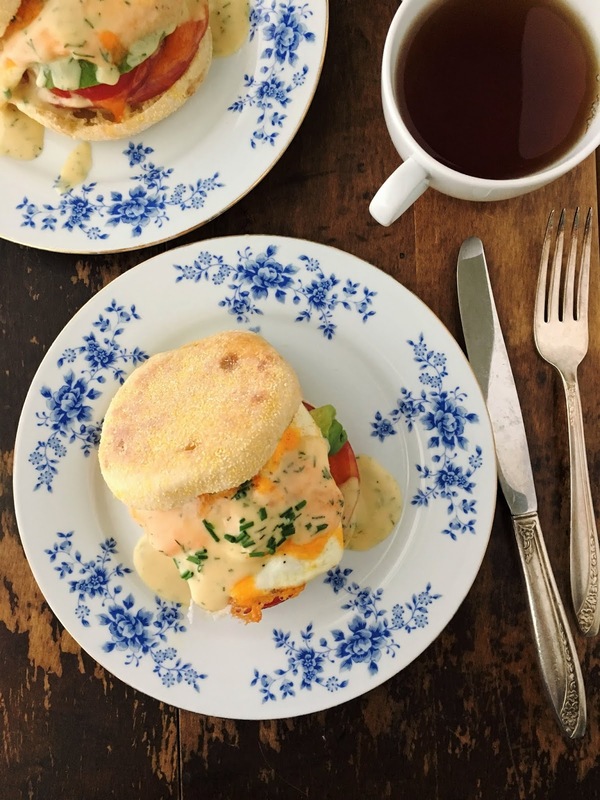 Spoon the maple mustard sauce over the egg, sprinkle with chives and top with the other half of the English muffin. Makes 4 sandwiches. Serve immediately.